These tips and instructions were sent in request to a question on one of AO's email support group lists. Copy the URL link for one of the volumes and send it to your Kindle account via "Push to Kindle" app. Click on the device you wish to send the Kindle document to. To find your Send-to-Kindle email address, go to amazon.com and sign in. Under the dropdown menu for your account, go to "Your Content and Devices." Click the Devices tab and it's listed with the device. Amazon.com assigns each device has its own email address. I believe that the Mobi format, which is used a lot on Project Gutenburg, is the same format as the Kindle format - so all you need to do is change the file extension and the file works. As well, Mobipocket reader (the PC version) can convert a lot of formats to the mobi format. (and therefore the Kindle format.) I haven't confirmed this. I had a blog post on using ebooks. You can also get a Palm - PDF reader from Adobe to read PDF's. It does a pretty good job, depending on the complexity of the PDF file... note that they are not updating it. NOTE: Most Palm Pilots can NOT sync with a Windows 7 computer! I found this out the hard way! Basically you can't sync using the USB port. You can with Blue-tooth (if you have the hardware and a later palm pilot), or with the IR connector (if you get an IR adaptor for the computer, your palm has IR, and you don't mind eating your batteries with the sync and taking forever... And you can through the serial port (if you have the write connector.) I am messed up as I only have USB available. FIRST a note: I started with a Kindle for PC (I believe it can be used on MAC as well) to see if I wanted a Kindle in the first place. NEXT: ON THE COMPUTER I browse on sites that offer mobi format downloads (such as Project Gutenberg, manybooks.net, Internet Archive, etc), find the book I want to download. Select mobi or mobipocket format and download. It automatically downloads to the Kindle for PC, which is synced to my Kindle. That's as easy as it gets :) I know that you can do it without having the Kindle for PC/MAC but then you need to use the USB cable and connect to the computer. I find having the PC version speeds up the process. 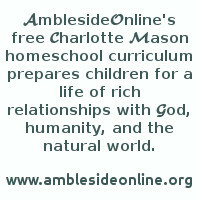 I have downloaded the 1st 2 volumes of Charlotte Mason's Home Education series (as well as many other public domain books) onto my Sony Reader from Google Books. I access it thru Sony Reader Store...it gets put into my library then I hook up my e-reader and sync it. Since there are so many books on the Google site, I haven't needed to try to download from other sites like Project Gutenberg. I have a Kindle2 and I can load mobipocket format with no problem. Pdfs are easily emailed for free to amazon and they email me back the converted version to upload... or for a small fee they send it straight to your Kindle. If you grab the free mobipocket reader for PC, it will convert PDF's and some other formats to MOBI format for free. You can (if you really want control) also download mobipocket creater for PC, and you can make mobi pocket books by yourself - but that is NOT an easy thing to do. I have made a couple. Anyway, a quick way to get a few other formats to your kindle. I have both an ITouch (Iphone) and a Nook. I downloaded a couple of the books for Year 7 from the links provided on the AmblesideOnline site. One of Lay of the Land and the other was the Bede/Asser selection. For the ITouch, I dropped each one in Word and saved just each weeks reading so that I ended up with 12 files for each for that terms reading. Therefore, my file names were Week 1 Lay of the Land, Week 2 Lay of the Land, Week 1 Bede, Week 2 Bede, etc. I did this because my oldest will get interested in her reading and read ahead. The end of the file means end of reading for that week! I use GoodReader (free app but you can only have 5 pdf files) to view them. I believe you have to purchase GoodReader to delete files though. The instructions for transferring the documents are available on the Goodreader site. For the Nook, you can download any book from the internet in either a pdf or epub format. Once you connect the Nook to your computer through the USB port (cable comes with the Nook), you can move these files onto your Nook as it simply appears as another drive in Windows Explorer. You can also easily delete files. A good source for many books is www.manybooks.net that offers many options for download formats. One advantage of the Nook is that you can look up any words you do not know the definitions of. It doesn't always have the definitions, but it is a handy feature. With my iPad I was able to get most of AO Years 1 and 2 books for free through iBooks. It was just a matter of searching by title and selecting the free version (usually the one compiled by Project Gutenberg). They didn't have the other volumes, though. I'm still wondering if the other volumes are available for such an easy download. I guess I could download the others from the AmblesideOnline site and then email it to my Amazon Kindle account for them to convert it, but I thought maybe there is an easier way. I use a program called Calibre. This will manage the ebooks you have and convert them to any format you need. You just save a book, add it to the program, then plug in your e-reader. When you tell the program to add it to your reader, it will ask you if you want to convert it. This program lets you add tags to your books so you can find specific kinds among the hundreds you amass. It is free and it is so easy.